Wars in the Middle East and Central Asia, unemployment rates in the double digits, the United States and China going against each other in heated currency and trade imbalance battles… these are just some of the pressing issues that threaten global peace and add uncertainty to already unstable economic and political conditions. In a wide-ranging interview with PROSPECT, Dr. Un-Chan Chung, former Prime Minister of South Korea and a renowned economist in macroeconomics and financial markets, talks about the uncertainties that the world is now facing, ways to overcome these difficulties and the future of South Korea in the global economy. PROSPECT: Your public lecture at the University of California, San Diego is titled as “The Future of South Korea and the United States in Times of Uncertainty.” What do you mean by the “times of uncertainty”? DR. CHUNG: There are three types of uncertainty that the world is facing or is soon to face. The first one is the cost of global climate change and a transition of energy from fossil fuels. In 2007 and 2008, as countries looked for ways to replace fossil fuels with corn and beans, the demand for such crops increased, creating an unexpected increase in grain prices. Therefore, it is generally expected that we face an uphill battle to find a solution to our ever-increasing energy needs. The second is the geopolitical uncertainty with the emergence of China as world’s new powerhouse. The emergence of China is likely to force traditional powers to adjust their ways to interact with newly emerging states. The third one is instability of global economics. The economic battles between the United States and China regarding trade imbalances and currency values and [the] unstable economies of some European countries demonstrate the aftermath of the global economic recession that remains around the globe. PROSPECT: How has the recent global economic recession affected South Korea and the United States? DR. CHUNG: The Korean economy is a little bit immune to the global economic recession since the Korean financial market isn’t that closely related to the global financial area. Did it suffer from the global economic recession? In essence, yes, because it has affected our trade volume as Japan and America suffered a lot. But Korea was fortunate enough to be leaders in terms of recovery among the OECD countries. In 2009, Korea was among the early nations—Australia and Poland—which recorded plus economic growth. Those countries weren’t affected because Australia has abundant natural resources and Poland has a domestically oriented economy not dependent upon global economy. It’s impressive that Korea, being still dependent on foreign economies, recorded +6.1% economic growth in 2010, one of the highest in the OECD countries. PROSPECT: What accounts for Korea’s positive economic performance? DR. CHUNG: Korea is among the seven countries that have populations of more than 50 million and per capita income higher than $20,000. These countries include U.S., Japan, Germany, England, France, Italy and Korea. Considering per capital GDP of Korea was only $67 in 1957, it becomes important to ask what contributed to our successful story. First, we had great friends who helped and cared including the UN with its humanitarian and economic aid efforts. Second, a long tradition of educational fervor and investment in human capital has contributed to the unprecedented economic growth of South Korea. Third, South Korea’s rise can be contributed to its “can-do” or “fighting” spirit of Korean people. During the rapid industrialization period, many South Koreans worked hard to help their communities and themselves climb out of poverty and build the foundation for a democratic and market-driven society. PROSPECT: One of the key topics covered by the major global economies during the 2010 G-20 Summit in Seoul, Korea was ensuring global economic recovery. Do you think the current global economic crisis is going to be mitigated soon? DR. CHUNG: Because of the uncertainties mentioned above, it’s not easy to tell. At least this year, however, it is expected that there will be a recovery, as almost all of the major economic powers have been recovering, except for a few European countries with some difficulties. Portugal, Ireland, Greece and Spain (so-called PIGS) have suffered economic difficulties stemming from a lot of budget deficits. But overall, the global economy will recover sooner or later. PROSPECT: How do you respond to the criticism that the G-20 Seoul Summit only achieved limited progress on the issues of currency war and trade imbalances? DR. CHUNG: It attempted to solve problems at least in three parts: recovering from global recession, ensuring financial stability of global financial markets and providing some solutions for developing countries. I don’t think it was a big success or a big failure. These problems will not be resolved at a single gathering of world leaders. Rather, these issues require sustained efforts, concessions and cooperation of all countries. PROSPECT: With the growing power of China, India and other Asian nations, the strategic importance of the Asia-Pacific region has also grown. What are the roles of South Korea in maintaining security and economic stability in the region? DR. CHUNG: Since South Korea is not big enough to threaten global powers such as China and the United States, I think South Korea can act as an effective mediator between the United States, Japan and China in times of conflicts and help to maintain the stability of the region. PROSPECT: During his recent visit to the U.S. capital, Hu Jintao, the president of the People’s Republic of China, declared that China “will never seek hegemony or pursue an expansionist policy” and is seeking closer ties with the United States. How do you think the future of Sino-U.S. relations will take shape? DR. CHUNG: China has been saying for a long time that it wouldn’t pursue expansionist policy, I believe them in that sense. But, about hegemony, I’m not quite sure. Once you become a really big power it’s inevitable that you will have some kind of hegemonic power. PROSPECT: There are also many controversial issues that threaten the political security and economic stability of the region, especially the tensions around the Korean Peninsula, including the recent sinking of the Korean warship Cheonan and the constant threat of nuclear proliferation by North Korea. What are the economic ramifications for South Korea and the United States if North Korea keeps disturbing the security of Asia-Pacific? How should these two countries handle the situation with North Korea’s provocations? DR. CHUNG: Investment is fairly important to sustaining economic growth. If there’s uncertainty surrounding the Korean peninsula, then domestic investment and foreign investment are going to shrink, which is a big threat to sustaining economic growth in South Korea. Therefore, we have to solve the problems of instability as soon as possible through cooperation. However, the first condition to do so is North Korea apologizing for the sinking of Cheonan and attacking Yeongpyeong Island. If North Korea apologized, then the relationship between two Koreas would become better, contributing to the sustaining economic growth of Korea. The United States is not going to be affected by North Korea as much as South Korea. However, considering its own economic problems such as high unemployment rate, there is no doubt that it needs global peace to recover from recession. 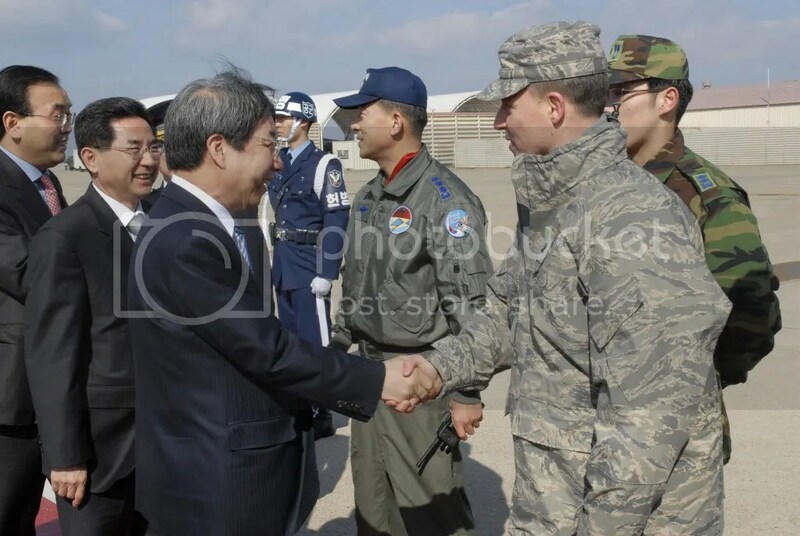 If South Korea and the United States came close together in terms of economic standing, I think it would contribute to the consolidation of military and political matters to keep peace and stability of Northeast Asia. PROSPECT: What do you think the future of the Korean economy is going to look like? DR. CHUNG: In the past, economists were pessimistic about the future of the Korean economy. But we have performed rather well due to the dynamism of Korean people. In the near future, I would say that the Korean economy is going to boom. I don’t think we have a bleak picture for our economy. However, it comes down to how we solve R&D problems and educational reform problems in the long term. For long-term benefits, we have to emphasize basic research rather than applied. According to the research done by Cambridge University, Korean R&D also needs to be theoretically oriented and pursue a bottom-up system rather than top-down. As for education, although education has contributed a lot to the good performance of the Korean economy, there is still a lot to be desired. We have to seriously think about what to teach and how to teach. As to what to teach, I would refer to John Locke’s “Some Thoughts Concerning Education” in 1693. According to that book and based on my experiences, we have to teach at least five or six things: physical strength, ability to endure and overcome difficulties of any kind, creativity, boldness, languages, and science and technology. If these were achieved, I would say that Korea’s economy is going to contribute significantly to global economy and bloom. Photo courtesy of United States Pacific Command. Great interview Frances, thank you so much!